On Thursday, March 14, 2019, a prisoner was publically hanged in Jahrom, south of Iran.  Also on Monday, March 11, three prisoners in Birjand Prison, northeastern Iran, charged with killing two armed agents of the regime, were also executed. Two of those executed were father and son. A day prior to that, the Iranian regime executed another prisoner in Zahedan Central Prison, southeastern Iran. He was married and a father of two children. Some sources have mentioned that he was a former member of Iran's national kickboxing team. These executions are carried out after Ebrahim Raisi, one of the men in charge of the mass executions in 1988 massacre, was recently appointed as the head of Iran's judiciary by the regime's supreme leader Ali Khamenei. During his speech at the inauguration ceremony, Raisi emphasized on the course of massacre, execution, and suppression to safeguard the regime in the past 40 years. He said that he would consider Khamenei's recent "second phase" statement as his covenant and that the regime's security is his absolute priority and that justice is subsidiary compared to it. The UN Secretary General Antonio Gutierrez, and the Special Rapporteur on the situation of human rights in Iran, Javaid Rehman, have expressed concerns over the increasing number of executions, demanding the regime to stop public hangings. According to the annual report by Iran Human Rights (IHR), at least 13 public executions have taken place in Iran in 2018. During the 40th session of the UN Human Rights Council in Geneva, Javaid Rehman, the Special Rapporteur on human rights in Iran, said, "Many of the Iranian people have voiced their concern through protests, demonstrations, and strikes. People from diverse sections of society - from truck drivers to teachers to factory workers - across the country have protested. It is in this context of increased challenges that concerns are mounting about human rights, including the rights to freedom of peaceful assembly and to association in Iran." "Worrying patterns of intimidation, arrest, prosecution, and ill-treatment of human rights defenders, lawyers, and labor rights activists in Iran signal an increasingly severe State response to protests and strikes in the country," Rahman said, calling on the Iranian regime to release all those detained for exercising theirrights. Rehman also spoke of the poor conditions of prisoners with dual citizenship, the suppression of ethnic and religious minorities, and the fact that since 2013 at least 33 minors have been executed and 85 are in prison awaiting execution.